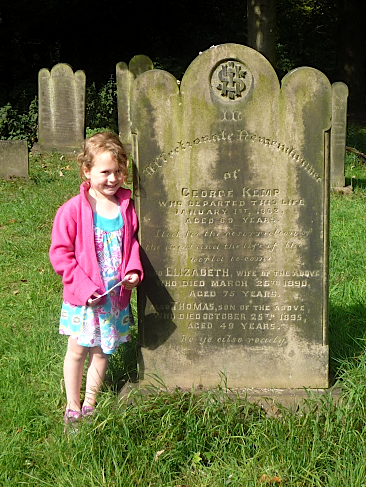 In my last post, I shared my daughter’s discovery of the gravestone of my 4 x great grandparents, George and Elizabeth Kemp, while on holiday in West Yorkshire over the summer. 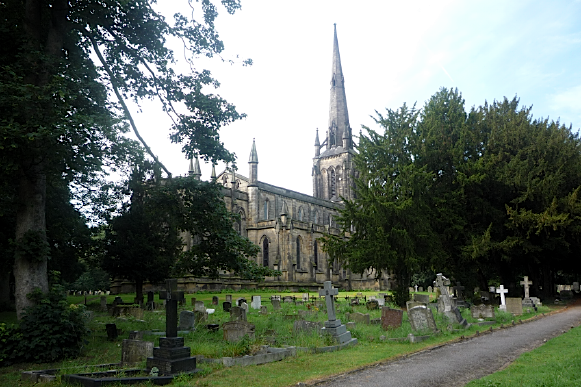 We found it in the churchyard of St John the Evangelist in Oulton. 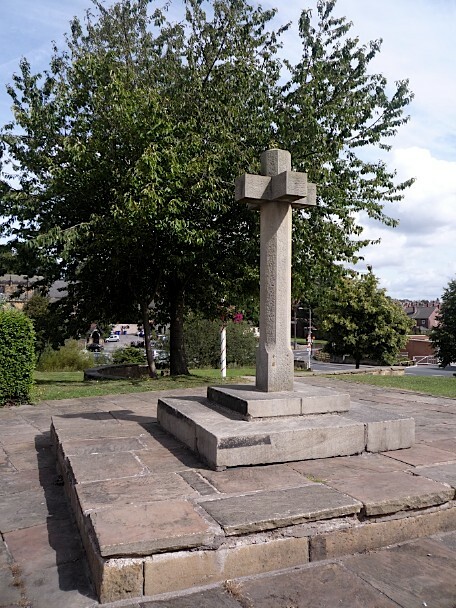 On returning home, I decided to see if I could find the burial records online – Ancestry now have a huge swathe of West Yorkshire records on their site1. So, there was a Plan! I wonder where it is now? Ancestry.com. 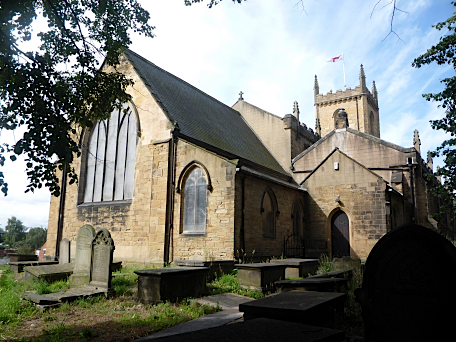 West Yorkshire, England, Baptisms, Marriages and Burials, 1813-1985 [database on-line], accessed 02 Sep 2011. 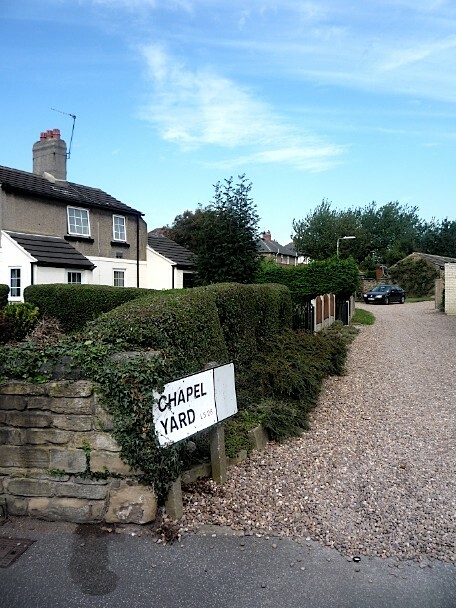 Original data: Yorkshire Parish Records. 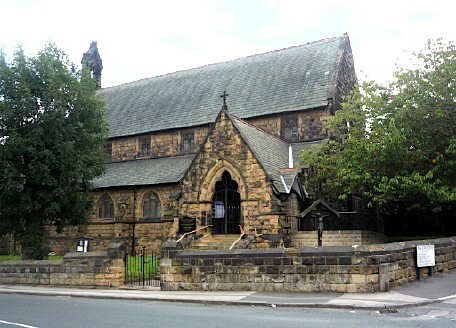 Leeds, England: West Yorkshire Archive Service. 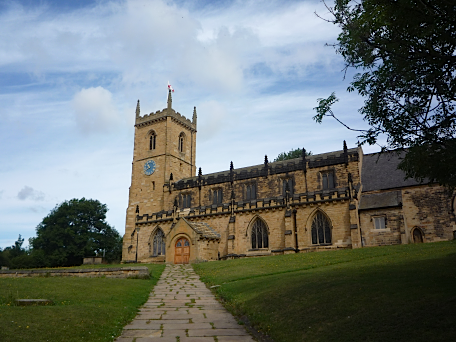 Rothwell’s parish church was built around 1130AD, though it’s thought to be the third such building on the site. 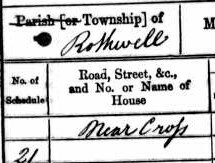 It was in this church that my great grandmother, Elsie Nunns, was baptised on December 27th, 1896, exactly one month after she was born. 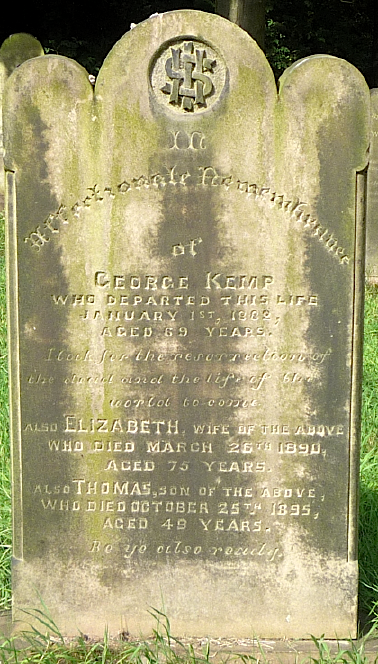 Many of her family were baptised and married in the church, and buried in the churchyard. 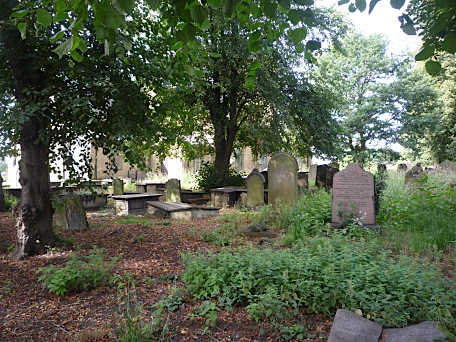 The main ‘front’ of the church that faces Church Street and centre of Rothwell is well kept, but around the back, many of the gravestones are covered over with weeds and surrounded by stinging nettles. 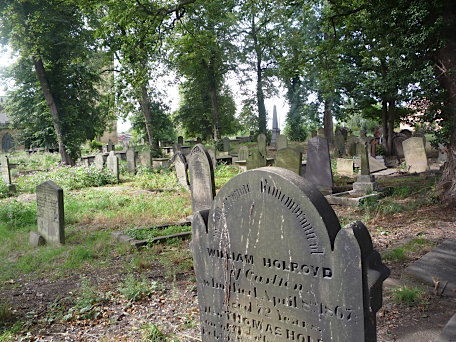 I didn’t know if any of my ancestors had gravestones here, so it was really a case of having a look around and seeing what we could find. (There is currently a project underway to map all the gravestones in the graveyard.) We managed to find a couple of Nunns and a Hirst, but I’ll need to do a little more investigation to see if they’re family or not. The graveyard is huge, and many of the stones are illegible, if not unaccessible. 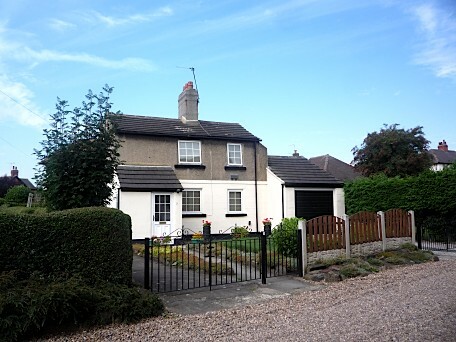 You can see further exterior photos in a previous post. 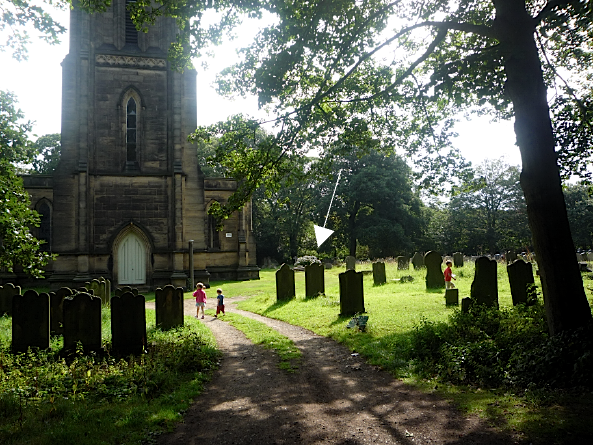 The church appeared closed, but my son had noticed someone entering by a back door, so we wandered up and knocked. 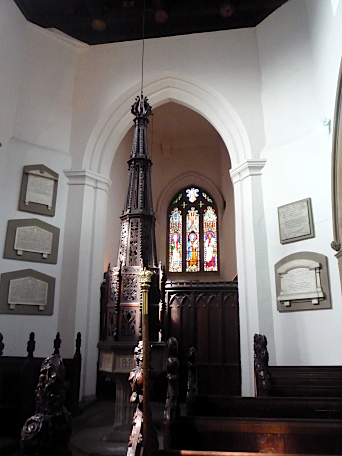 A young curate opened the door and allowed us to have a look around inside, warning that there was a funeral commencing in 40 minutes. 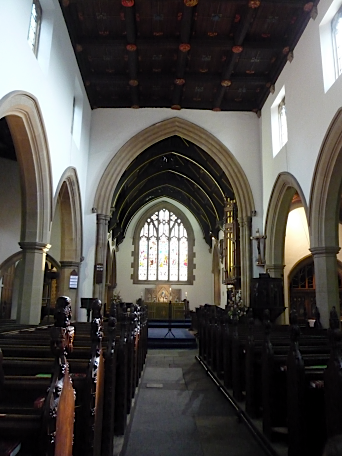 The interior was beautiful, and my hurried photos could not do it justice. 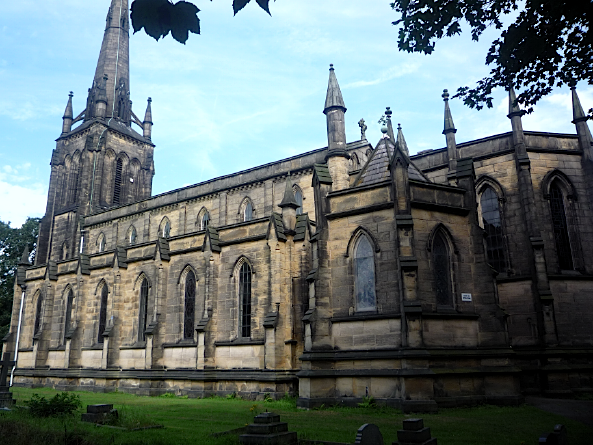 You might like to read West Yorkshire research trip Part 1. My 3 x great grandfather, Henry Nunns, was a coal miner, and his father and brothers worked in the mines as well. One of the highlights of my recent Yorkshire trip was visiting the National Coal Mining Museum near Wakefield, to find out what Henry’s working life might have been like. 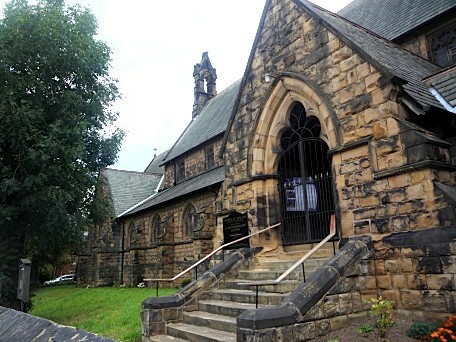 If your ancestors had any connection with coal mining, this is a fantastic place to visit. What’s more, it’s free! I’d recently watched a documentary on child labour, The Children Who Built Victorian Britain, so I had a small idea of what coal mining was about, but I really wanted to find out more – and especially, to go down a coal mine. Get kitted out with your miner’s helmet and battery lamp then step into the cage and descend 140m underground to discover the amazing sotry of mining through the ages. Led by ex-miners, these hugely popular tours will give you a vivid insight into the dangers and hardships faced by the men, women and children who toiled deep below the ground. Now, I’m quite claustrophobic, and I was very nervous about going underground, so I managed to convince my seven year old son to go with me. 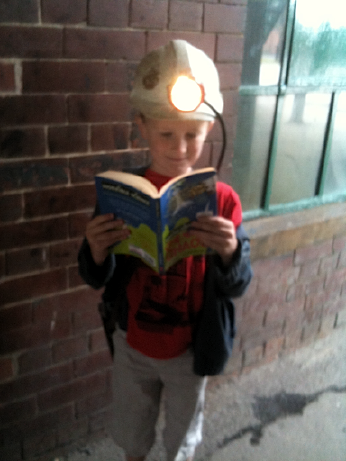 (I bribed him with the carrot of getting an awesome ‘Extreme Reading’ photo opportunity for a school competition when we were down in the mine. Unfortunately, I hadn’t realised that cameras and phones were banned. Ummm, sorry kid!) I checked beforehand to see if there were any parts of the tour that involved crawling and the like, and I was assured that any crawling bits were optional and “for the kids”. In any event, I was fine, and the tour was fantastic! We were first shown an area of the pit from the 1820s, and then were slowly taken down all manner of tunnels and ‘roadways’. Our guide, an ex-miner, gave an illuminating picture of what life was like for miners over the last two centuries. The tour takes 90 minutes, and thankfully there was enough above ground to keep my hubby and the two younger kids amused while #1 son and I took the tour. (Children under five aren’t permitted on the tour.) It’s a good idea to wear decent walking shoes, and a jacket or jumper, as it gets a little chilly underground. 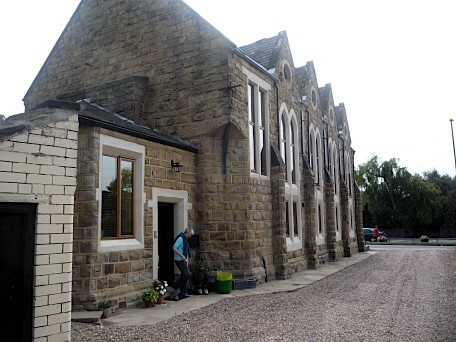 Unfortunately I didn’t get much time to check out everything above ground, but there are historic colliery buildings, collections detailing mining history, displays of mining memorabilia, a library, nature trail, retired pit ponies, plus a shop, small children’s indoor playroom, cafe and picnic area. I did get to buy a book which our guide had recommended, and to which I also give a big thumbs up – Victoria’s Children of the Dark by Alan Gallop. It tells the story of the children who worked in the mines in the early 19th century, and recreates the events surrounding the 1838 Husker Pit disaster at Silkstone, Yorkshire. Definitely a fascinating read after being down a mine and seeing the actual working conditions. 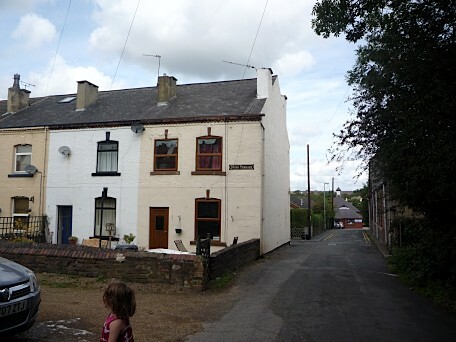 I have spent the last four days in West Yorkshire, visiting places that are connected with my great grandmother, Elsie Nunns. 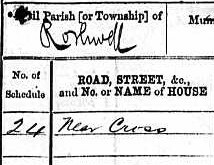 She was born in 1896, in Rothwell, which is where I began my search. At this point in the post, I was hoping to wax lyrical about the marvellous folk at the Rothwell Arts and Heritage Centre, of how helpful and friendly they were. In fact, they may well be all those things – I just didnt meet them. I had found the Centres details via Google, carefully noting down the address and opening hours from the website. When I arrived in Rothwell on Monday morning, I tried plugging in the Centres address into my satnav, but it couldnt find it. Well, not in Rothwell, West Yorkshire. 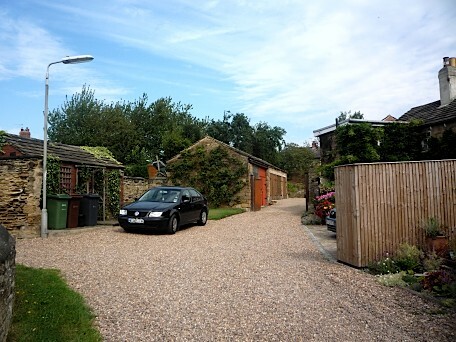 But if I fancied a two hour drive, I would find it in Rothwell, Kettering. Not the best start to my trip! Luckily I found the local library, with some very helpful staff members, and I managed to get photocopies of some old Ordnance Survey maps of the area, which I needed in order to find some of the addresses my ancestors had lived at. With my three research assistants tagging along, I had little time to sit and pore over old maps, so it was a quick copy job and I was out of there. I had enough information to get by with for the next few days.